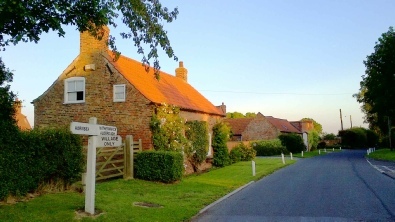 Our luxury self catering holiday cottages are located in the quiet village of Great Hatfield close to the popular blue flagged coastal town of Hornsea. 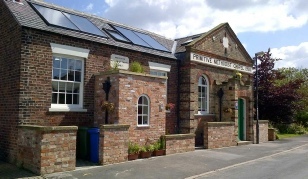 Being just a stones throw from the Trans Pennine Way our cottages are also ideally located for keen walkers and cyclists. And there no excuses as we even have a mountain bike hire service, click here for more details. 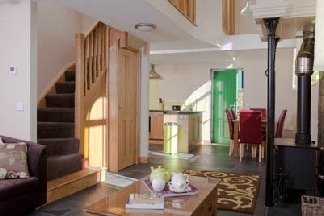 Converted with sustainability in mind the cottages seamlessly integrate alternative technologies such as solar heating, rainwater harvesting, super insulation and low energy appliances without compromising the luxury that you deserve. 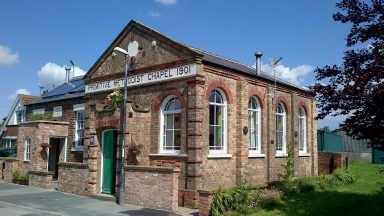 Behind the facade of the Primitive Methodist Chapel are two beautiful holiday cottages providing luxury accommodation for your friends and family. In addition to local information and relevant re-tweets follow us on Twitter. We also advertise our huge last minute discounts here. 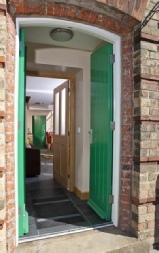 So for the best deals check out Twitter or call us Direct 01964 529093. 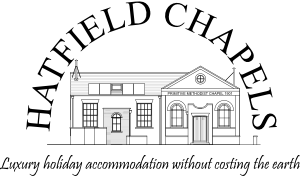 Read what some national publications had to say about Hatfield Chapels along with our blog and social media accounts.